Updated 3/1/18: You’ve probably heard both “dry” and “dehydrated” used before, especially if you’ve had your skin analyzed by an esthetician. The differences are studied in esthetics school extensively and professionals know that they are quite significant. However, you, the ever-seeker-of-skincare-knowledge, might be confused. I can assure you, dry and dehydrated are quite different and the remedies for treating each vary. Let’s start with the facts. FACT #1: Everyone needs a balance in the skin of BOTH moisture (oil) and hydration (water). Not too much of one and not too much of the other is best. This balance is truly the foundation of smooth, glowing, and beautiful-looking skin. This applies to all skin types, regardless of whether you’re a teenager with acne, or in your 80s with the driest of dry skins. FACT #2: The epidermis, or the top layers of skin, is responsible for keeping skin hydrated. It’s where underlying processes that control levels of hydration occur. These processes maintain a proper balance between water retention and water loss. Researchers still don’t fully understand these very complex processes. We can, however, use what knowledge we do have to our benefit. FACT #3: You can’t have both oily and dry skin. Oily skin means your skin produces oil. Dry skin means it doesn’t produce oil. These simply contradict each other. You can be oily and dehydrated, but not oily and dry. If you take away only one thing from this post, this should be it. 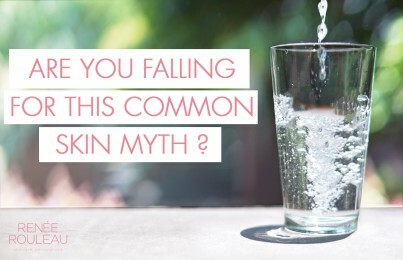 FACT #4: This may come as a surprise, but you can’t drink your way to hydrated skin. Drinking water is actually the least efficient way to hydrate the skin. Read why drinking water doesn’t hydrate the skin—but these three things will. FACT #5: When the skin is dry or dehydrated, it’s usually more sensitive. Want to make your skin less sensitive? Topically hydrate and/or moisturize for your specific skin type. FACT #6: To properly retain water to keep the skin looking and acting healthy, you need lipids (oils). These can either be your own built-in lipids or topical ones, in the form of emollient moisturizers. FACT #7: Dry skin (that produces little to no oil), does not retain water easily. Think of leather, which can dry out and harden over time. As stated in the previous fact, dryness needs oil. Similarly, leather requires frequent oil conditioning to keep it moist and pliable. If you apply water to leather, it only gets drier and more cracked. Without oil, the applied water quickly evaporates, taking all other existing water in the leather with it! FACT #8: For dehydrated skin (those who DO produce oil but just need water), avoid using aggressively harsh products. These can contribute to tightness in the skin, leaving you with what seems like “dry skin” but really isn’t. FACT #9: For excessively oily skin types prone to acne and breakouts, the goal is to lessen oil activity (since oil significantly contributes to breakouts). You don’t want to deplete so much oil, though, that the skin is left vulnerable. This subjects it to water loss, which can result in tightness or even flakiness. FACT #10: Choose your moisturizer wisely. Moisturizers are comprised of emollients and hydrators, or humectants. Emollients keep moisture in the skin, and hydrators attract water to the skin. All moisturizers contain a mixture of both but the percentage of each can vary. If you have oily or combination skin, you probably make enough of your own oil, a natural emollient. This means you should opt for a lighter lotion like Sheer Moisture Lotion that contains more humectants and fewer emollients. On the contrary, if you don’t produce oil, then you need a richer cream such as Glow Enhancing Creme with more emollients. These will act as a seal and protect the skin from water loss. But wait…before you read on for more details, remember to apply this information based on how your skin is TODAY. The skin changes with age, and it’s important to focus on the here and now, not what your skin used to be like years ago. Got it? What exactly is dry skin? Dry skin as a skin type (like skin types #7, #8 and #9), is known as alipidic skin. This means the skin does not produce much oil (sebum). Skin relies on oil to retain moisture; without it, dryness ensues. Pores are medium to small and often even invisible-looking. This usually results in a smoother texture. Follicles don’t have a chance to dilate and stretch pores because there isn’t as much oil production (compared to oilier skin types). This is a major plus for those with lifelong dry skin, so consider yourself lucky in this regard. Oily skin types, like me, have to use retinol faithfully to achieve smaller-looking pores. There is minimal to no acne. This is another benefit! Oil is one of the underlying causes of blemishes. If you’re not getting many breakouts, then this is an indication of very little oil production. Even if you got acne in your younger years, it’s important to deal with what your skin is doing today. Do note, though, that even dry skin types can get an occasional hormonal cystic blemish. This is a unique type of blemish that can occur at any age. Skin consistently feels tight and dry and may appear rough and flaky. Of course, if you’re exfoliating regularly, flakiness is less likely to occur. For medium to deeper skin tones, the skin can take on a dull or ashy look. Fine lines and wrinkles are pronounced. This is, of course, related to how much or little sun damage your skin has had. Dryness means the barrier function is compromised, which usually results in increased sensitivity. Inflammation causes a chain of biochemical reactions that lead to collagen and elastin breakdown. Keeping skin irritation to a minimum is essential. Increased exfoliation is required to prevent dry skin cell build (lessening the look of dryness). Read my complete guide to exfoliation. Genetics: Dryness, unlike dehydration, is something you’re born with. 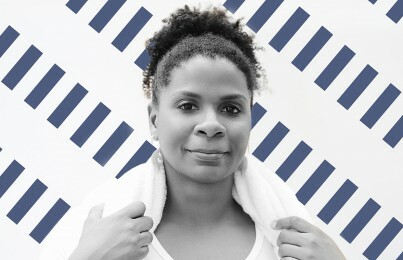 Age: The skin has a harder time retaining moisture as you get older. Lifestyle: Airplane travel, alcohol consumption, and antihistamines taken for allergies are big contributors. Environment: This can include climate, heaters, and air conditioning units. Hormones: Estrogen, which normally retains water in the dermis for a plump, moist look, naturally diminishes with age. The skin deflates and wrinkles become more pronounced. How can you treat dry skin? The simplest way is to use a skincare routine formulated exclusively for dry skin. This should include gentle but effective exfoliants to smooth away the dry cells that can contribute to a rough texture. 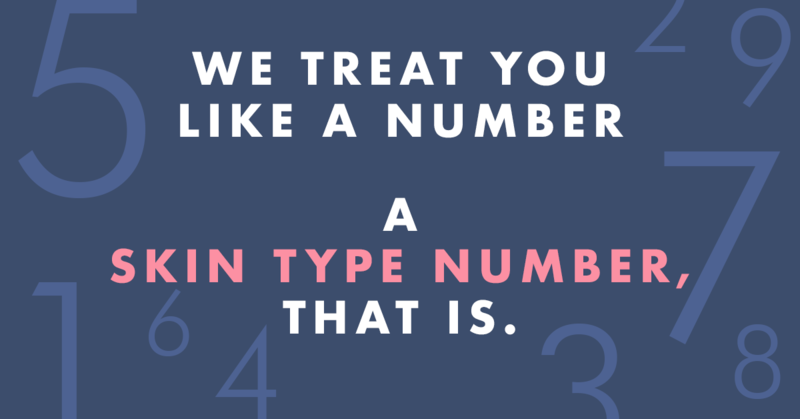 Take this Skin Type Quiz. Choose the right type of moisturizer or skin oil. It should contain the right combination of protectants and emollients to create a barrier that prevents moisture loss. Not all moisturizers are equal so read this list of the best ingredients to look for in a dry skin moisturizer or oil. Use gentle leave-on acid exfoliants to remove surface flakiness and promote cell renewal. Lactic acid, in particular, helps improve natural production of intercellular lipids for a healthy barrier function. Ultra Gente Smoothing Serum has both lactic and glycolic and is great for correcting dry skin. Wash with mild cleansing lotions formulated for your skin type. 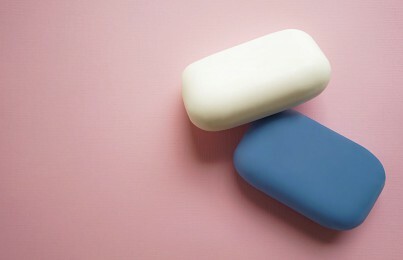 Avoid using bar soap or harsh foaming cleansers. Cleansing lotions contain emollients that are very soothing and comforting for dry skin. After cleansing, never leave the skin bare for more than 60 seconds. This helps prevent moisture evaporation. You should always immediately apply your next product (moisturizing toner, serum, and/or moisturizer). Use a humidifier during winter to keep moisture in the air—and in your skin. You can also keep a bowl of water in your bedroom at night if you don’t want to get a humidifier. Use a moisturizing skin serum underneath moisturizer to provide an additional layer of protection and nourishment to the skin. Use a gentle exfoliant around the eye area to smooth away dry, crepey lines. Yes, exfoliating around the eyes is a thing and you really should be doing it. Read why you need to exfoliate around the eyes. Use prescription retinoids or retinol carefully. 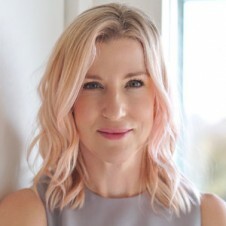 Read my beginner’s guide to retinol and retinoids to prevent dry, flaky side-effects. What exactly is dehydrated skin? Dehydrated skin, as a skin condition, lacks water content. (Watch this quick video to see what dehydrated skin actually looks like.) The technical name for this is transepidermal water loss. The skin can still have normal or even overactive sebaceous oil activity. If you still produce oil and get breakouts but your skin seems dry, it’s simply dehydrated. Dehydration is common in oily to combination skin like skin types #1, #2, #3 and #4 and usually is a direct result of using overly harsh products. What are the characteristics of dehydrated skin? Skin feels tight and can easily form fine lines due to lack of water in surface cells. Note: Unlike dry skin that’s a consistent condition, dehydrated skin isn’t always prolonged. It can feel tight one day and normal the next based on various factors. Unless of course, you’re regularly using overly-drying products or regularly over-exfoliating (then it will feel tight consistently!). Look closely in a mirror, then press and hold your finger firmly on your forehead or cheek and move it in tiny circles. While doing this, pay attention to the skin’s texture. Dehydration can appear as tiny triangular fine lines. (You’ll have to look pretty close in good lighting. You can also see it demonstrated in this video.) I’ve heard it called “onion skin” since the skin of an onion can have criss-cross marks. Trying doing this again after performing your nighttime routine. After applying moisturizer, you should see fewer of these lines. Skin can appear tight and shiny even if no visible oil is present. Have you ever noticed how a man’s bald head can look really shiny, especially in photos? This usually means he’s using overly-dehydrating soap or body wash to cleanse his face and head. He’s likely not applying moisturizer afterward, so the skin gets severely dehydrated. I’ve worked with many men over the years who have sought advice on how to lessen their shiny foreheads. I advise they switch to a gentler cleanser and use moisturizer morning and night. This usually does the trick! Lifestyle: Airplanes and alcohol consumption are big contributors. Age: As skin cells get older, the epidermal cell cycle slows down significantly. This leads to the slowed production of intercellular lipids, creating an impaired barrier function that results in dehydration. How can you treat dehydrated skin? The simplest way is to use a skincare routine formulated for keeping water levels up in skin. This should include gentle but effective exfoliants to smooth away the surface dehydrated cells that can contribute to skin tightness. 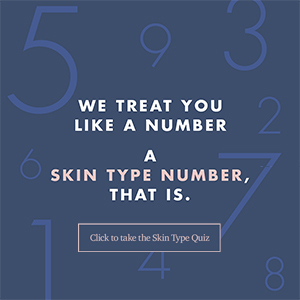 Take this Skin Type Quiz. Use a moisturizer containing humectants to keep skin looking plump and dewy. Look for Ingredients like glycerin, sodium hyaluronate (the salt of hyaluronic acid with a lower molecular size for maximum absorption), sodium PCA, sorbitol, allantoin and various forms of algae. These help draw water from the environment into the skin to keep it soft and supple. Chemically speaking, humectants form hydrogen bonds with water molecules. Humectants also draw water from the dermis (the second layer of skin) into the epidermis (the outer layer). If the humidity is above 70 percent, they can even draw in moisture from the air. Skin Recovery Lotion and Sheer Moisture Lotion both are excellent for keeping the skin hydrated, without adding oil that may lead to clogged pores. Use alcohol-free toners containing humectants. Toners are truly fabulous for hydrating the skin. Read all the benefits of using a toner. After cleansing, never leave the skin bare for more than 60 seconds to prevent moisture evaporation. You must immediately apply your next products (moisturizing toner, serum, and moisturizer). Add a skin serum underneath a moisturizer for a boost of hydration. Skin Drink Concentrate is excellent for plumping up thirsty cells without adding oil. Got blemishes? Rapid Response Detox Masque is formulated exclusively for acne but provides BOTH superior hydration and breakout-preventing properties. Read five ways to hydrate the skin without causing breakouts. Use a humidifier during the winter months to keep moisture in the air—and in your skin. You can also use a bowl of water in your bedroom at night. Go easy on exfoliants. Using too many acids and scrubs too often and too aggressively can cause surface dehydration and inflammation. Use only sulfate-free cleansing gels as this, too, prevents unnecessary dehydration. See this collection of gentle, yet effective cleansers. 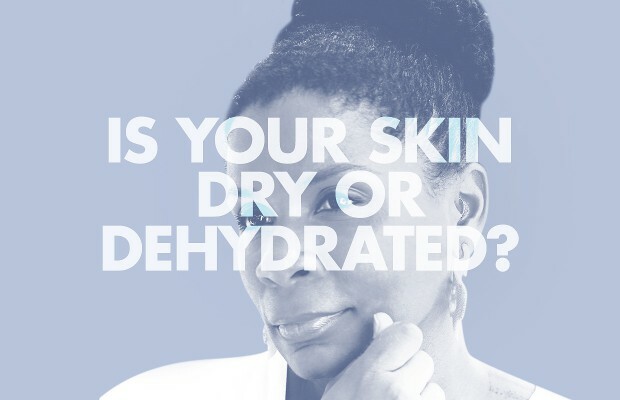 Knowing the difference between dry skin and dehydrated skin is very important. There’s a lot of misinformation out there about skin so here’s 35 common myths that you might be falling for. Treating your skin for exactly what it needs ensures you’re creating the healthiest skin environment in which it can age the best. I hope this creates some clarity on this very confusing topic. Your skin thrives best when in an environment or oil and water! a week. I opted in for your RSS fee too. I just used a new face serum in addition to my routine. I can see my fine line is reduced. However, I’m kind of feel tight on my face skin. Is it natural? is the tight skin sensation the results of the serum, or the serum makes my skin dry. I think I’m not sure if the serum makes my face dry or I just read the benefit of tightening my face skin? It’s hard for me to answer without knowing all the details but be sure to use a moisturizer over the serum. Serums don’t have the protective properties like moisturizers do. After reading this I realized my skin is dehydrated and wonder if I should be using a serum (like skin drink or Vitamin C & E?) or just need a heavier moisturizer. I’ve been using matte moisture (skin type #3) and have found my skin to be in need of a little more moisture, feels a bit tight after it soaks in. Is there a heavier moisturizer you’d recommend for my skin type or just use a serum? Thanks!